Become a PADI instructor even if your current certification is with SSI or another training agency. We can help you find out what you need to do. 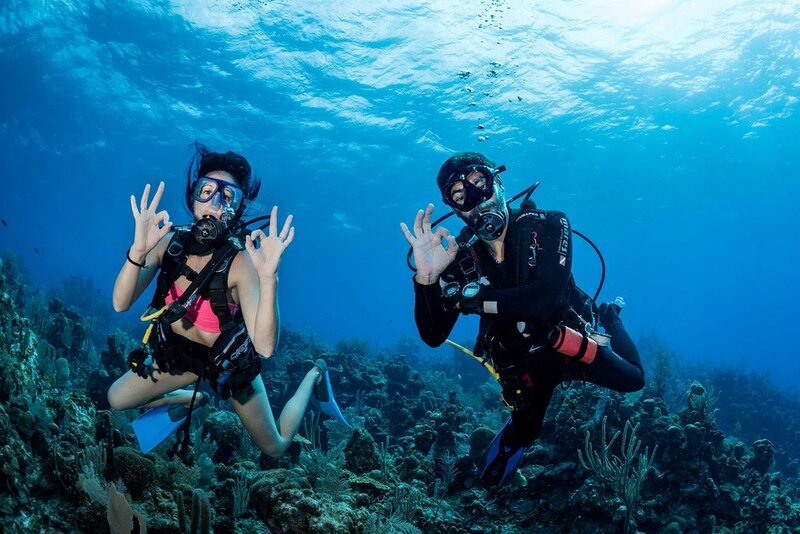 There are a number of certifications and a minimum amount of experience you need before you do an Instructor Development Course and PADI Instructor Exam. Other than being a PADI Divemaster (or equivalent with another training agency), two often overlooked things are the fact you need to have 100 logged dives and be certified as an entry level diver for at least six months prior to the start of the PADI Dive instructor course. These very sensible rules do effect the time in which you can go from ‘Zero to Hero’. It would require 2 separate trips to Roatan to go from having no diving certification to dive instructor. This is because a tourist visa only allows you 90 consecutive days in the country. If this is the first page from our site you have landed on stop reading and CLICK HERE to find out more about us, and the awesome diving opportunities, attitude and fun loving approach we have. This page is about the nitty-gritty. Certified as a PADI Divemaster or equivalent with another training agency. Have EFR or CPR and First Aid from another agency within the last 24 months. In addition you should spend time reviewing the materials from the Open Water, Advanced Open Water (especially the altitude and multi level/computer diver chapters), Rescue and Divemaster. Use our theory practice quizzes online and the encyclopedia of recreational diving to prepare for the written theory exams. View our skill circuit video and try to get a practice session in before you arrive. If this is not possible you can that here, if you get here before the course starts. Find out if you meet the prerequitites to be a PADI Open water scuba instructor. Check the course dates and then find the package tailored for your needs.